We, Bitdeal a renown cryptocurrency exchange & blockchain application development company, provides cryptocurrency wallet development services for crypto startups and big enterprises. Wallets are the primary sources to keep digital assets and funds in a secured way. 99% of cryptocurrency transactions can't proceed without the presence of a cryptocurrency wallet. You can take any blockchain applications, like cryptocurrency exchange website, ICO website, or any other crypto related buy sell applications, the need for Wallet is necessary and unavoidable too. In Centralized Cryptocurrency Exchange Websites - Every buyer/seller will have their own cold wallet (i.e) online crypto wallet, Where they will keep their funds. In order to sell a certain number of cryptocurrency to a buyer, the seller must send the currencies to the wallet of the admin. The admin will identify the seller, through the private and public key provided to the seller wallet. Decentralized applications may be an exchange website or an application. In this kind of websites, the seller won't able to use a cold wallet, but he must use the hardware wallet. Thus the use case of wallet gets evaluated in decentralized exchange website. Hardware cryptocurrency wallets are some kind of devices, that will be inbuilt with the encrypted private key. We may call this wallet as offline Wallets too. In this kind of websites, tokens will overtake the need of cryptos. In both crowdfunding model, the investor will buy tokens by giving cryptocurrencies to the issuer. So the role of the wallet will be dynamic, here. That is the wallet should be capable of storing both ICO/STO Tokens and Cryptocurrencies. Cryptos are accepted as a payment method in many countries. So shopping malls, bill payment, booking, money transferring applications have started to adopt BTC as legal payment. In this case, without a cryptocurrency wallet, we can't make any transaction successfully. Thus the use of cryptocurrency wallet becomes unavoidable here. What Bitdeal Can Do For you? We Bitdeal can design, develop and deploy, a fast and secured cryptocurrency wallet for your industry-specific blockchain applications. 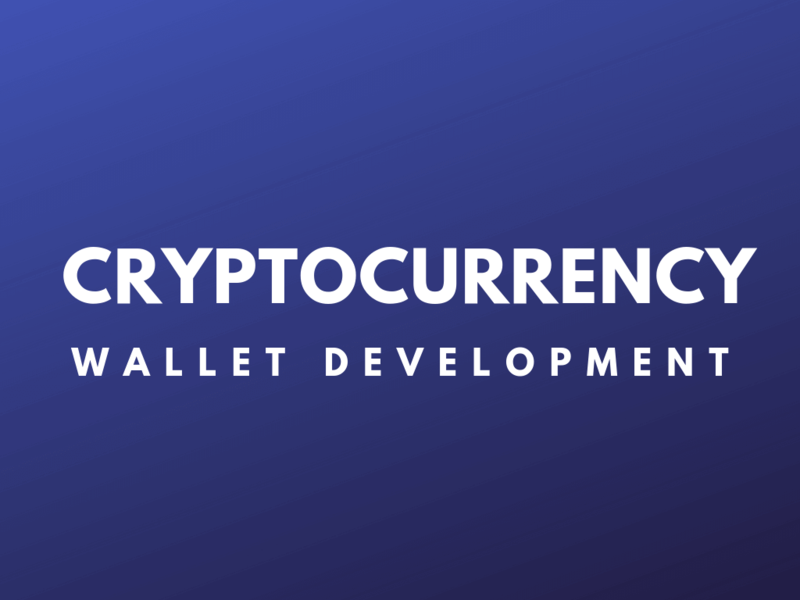 Cryptocurrency Wallet Development - It stores a limited variety of cryptocurrencies. Multi Cryptocurrency Wallet Development- It stores unlimited varieties of cryptocurrencies. Ethereum Wallet Development - It stores the only ethereum. We have 120+ Expert blockchain developers and our representatives are ready to provide 24X7 Support in order to make your project successful in a very short time. Bring your requirement, let's work together!